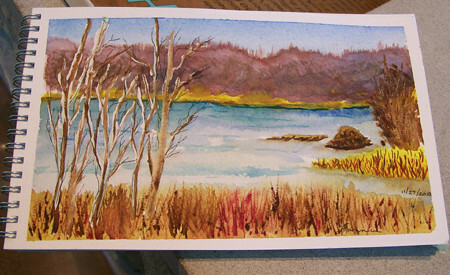 Sketch Class Results November 2010 – Let's Paint Nature! 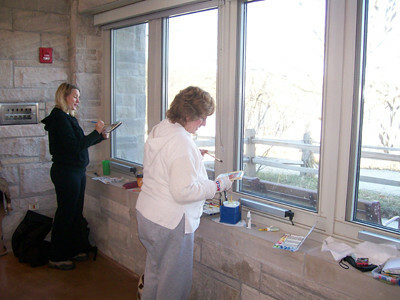 The free November sketch class at the Little Red Schoolhouse Nature Center was a hit! 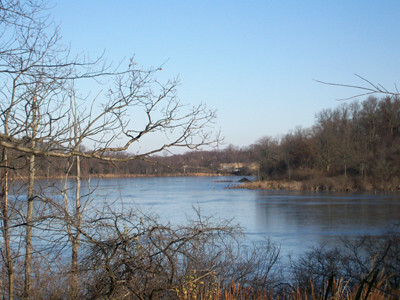 As we took a short hike around the slough, we noticed something not seen last month. Can you find it in this picture? HOT DOG…it’s a beaver lodge!!! Wow! Look at that structure. Beaver lodges can be made up of sticks, mud, grasses, and rocks. Sometimes you may find many lodges in a row, that’s called a beaver colony. Could this be one? 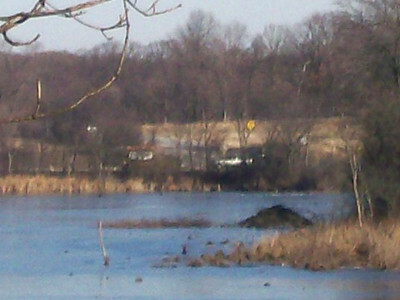 Do you see that patch to the left of our beaver lodge? Is that the beginnings of another lodge in the form a colony? I don’t know. I will keep watching. Did you know that an entire beaver family can live in one lodge? That explains the enormous size. What terrific structural engineers, to design such a space which will keep them warm in the winter and protect them from natural enemies! Welcome beaver family to Long John Slough. Alanna’s exceptional sketch of November on the Slough. Great job! 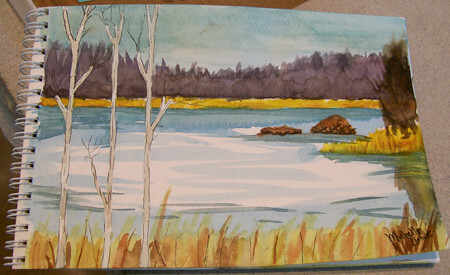 Michelle’s whitty watercolor of the November slough with beaver lodge. Awesome. 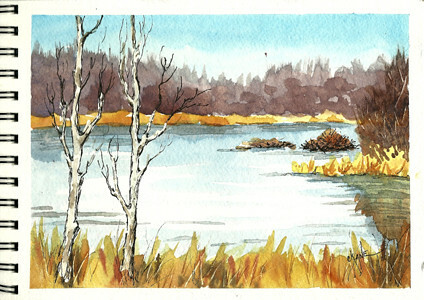 My interpretation of the slough in November with beaver lodge. Watercolor and micron pen. To tell you the truth, we weren’t as brave as it may seem…look…we painted from inside. Can you blame us? At 9am, our Chicago weather left us with only 23°F!?! We’re crazy for nature, but not insane! We had a wonder time enjoying nature and making a little souvenir sketch for us to take home. Maybe you can join us next time on January 29th? Lana: We we so surprised! I love the beaver lodge!!! It’s HUGE. Too bad you don’t know where yours is….yes they are probably smart for not advertising.